We guarantee our remanufactured ink and toners for one year starting the day you place your order. You may replace, exchange, or return items within one year from the date of purchase if you are not completely satisfied. Our one-year warranty only applies to remanufactured products purchased from our store and excludes refill kits if they are opened or used. All OEM or name brand original products are covered by the respective manufacturer’s warranty. In case of a defect, please contact the manufacturer. Defective or damaged products may be replaced with another. However, we do limit the number of replacements to one replacement per item per order. After which, we will offer a refund or store credit for the item. If you purchased the wrong items or if you no longer need items purchased from us, you may exchange the items for the correct ones or return them for a refund; however, the items should be in resellable condition, unopened and unused. Customer is responsible for the shipping cost to send items back and the shipping will not be reimbursed. If the customer has requested return for refund, there will be 15% restocking fee and the original shipping cost deducted from the final refund. 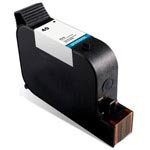 OEM ink and toner items can only be returned within the first 30 days from the date of order. Shipping is free as it is included in the cost of the product. Therefore, we refund full amount for defective items. However, for non-defective item returns, we have to deduct the original shipping cost from the refund. A customer who wishes to cancel an order must contact us immediately and must make sure the order is canceled. Once the order has been shipped, we can no longer cancel the order and the order must go through the refund process. The customer may be charged a 15% restocking fee and will be responsible for the cost of shipping if the customer still wishes to return the item. For “refused” or “non-deliverable” returned packages, they will be treated as non-defective returns and refunded minus the 15% restocking fee and both shipping costs to and back. Refunds will be processed once we have received the returned items. Please expect to see the refund within 30 days upon receipt.